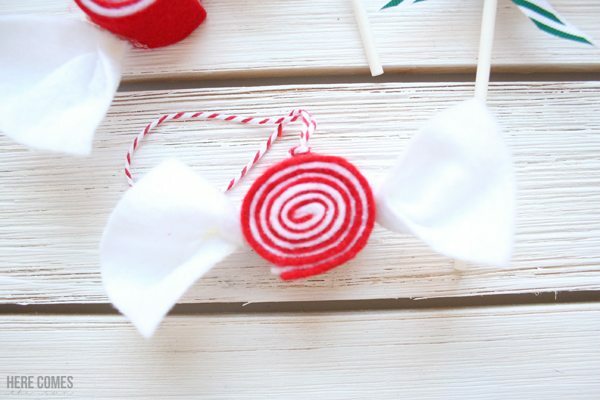 Make these felt candy ornaments for your tree this year. They only take a few simple supplies and are very easy to make. I’ve been in an ornament making mood lately. 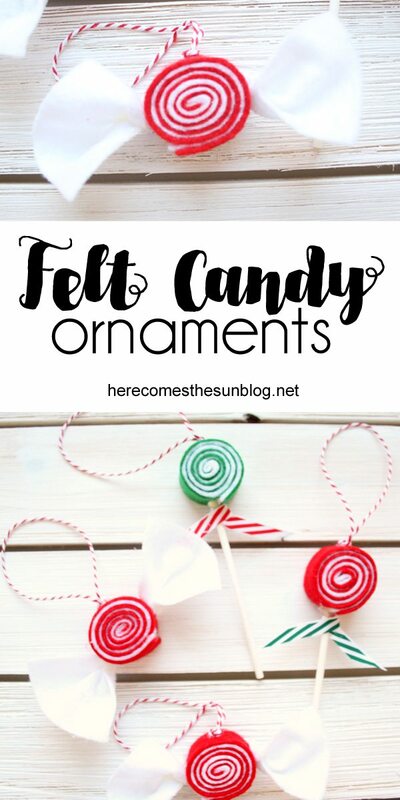 My latest favorite are the felt candy ornaments that I just made and and I can’t wait to show you how to make them too. These felt candy ornaments are made using my felt ribbon candy tutorial. So first head on over to this post to see how to make the basic candy shape. 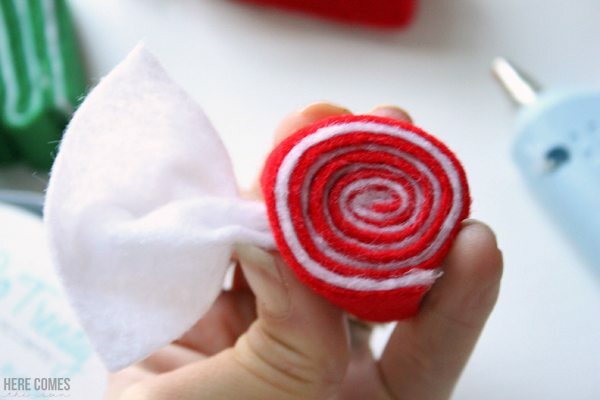 After you have made the basic candy shape, cut a small piece of white felt and pinch the end together like shown below. Place a bead of hot glue between each fold to hold its shape. Then place a bead of hot glue onto the side of the felt candy and attach the white piece of felt. Repeat on the other side of the candy. 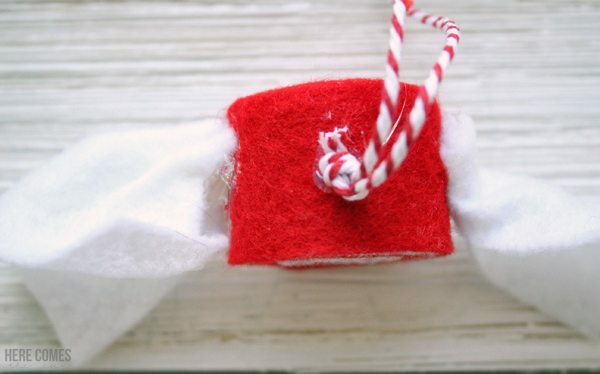 For a hanger, make a loop with a piece of bakers twine and hot glue it to the top of the felt candy. This is how it looks all finished. 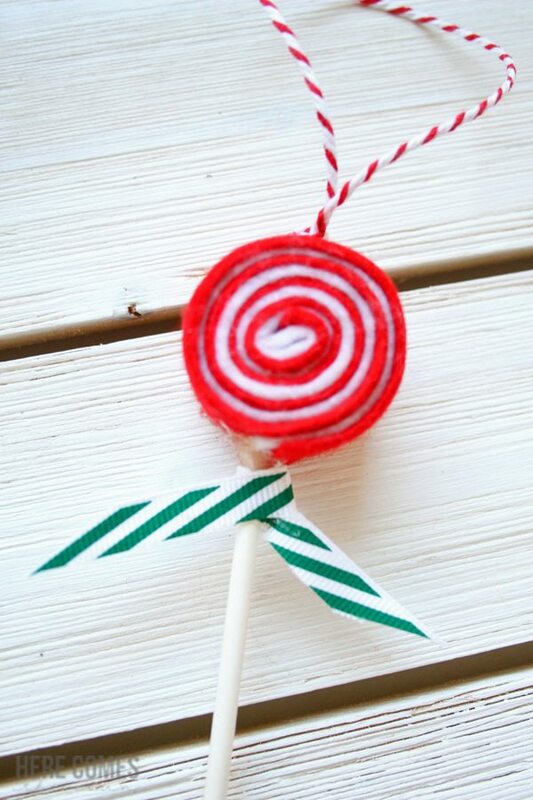 To make the lollipop ornament, simply hot glue a lollipop stick to the bottom of the felt candy and wrap a ribbon around the stick, securing it with hot glue. 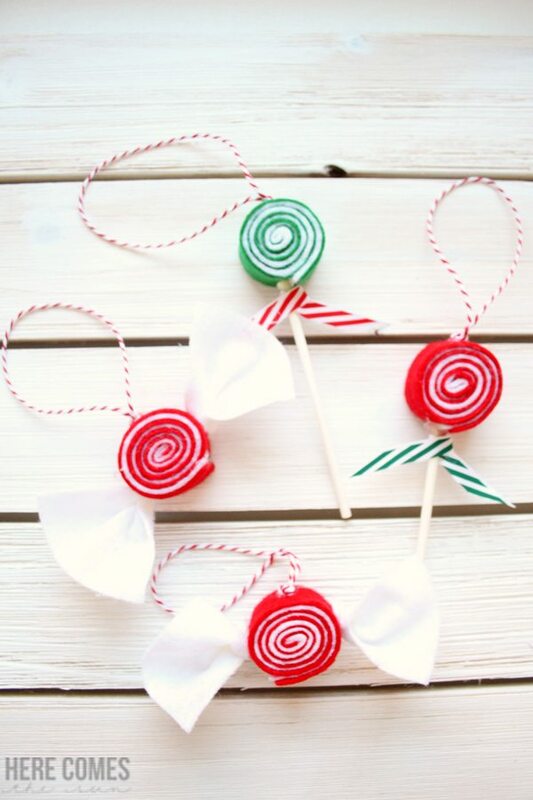 Now these sweet treats are ready to be hung on your tree!